The Netherlands is famous for its flowers, especially tulips. 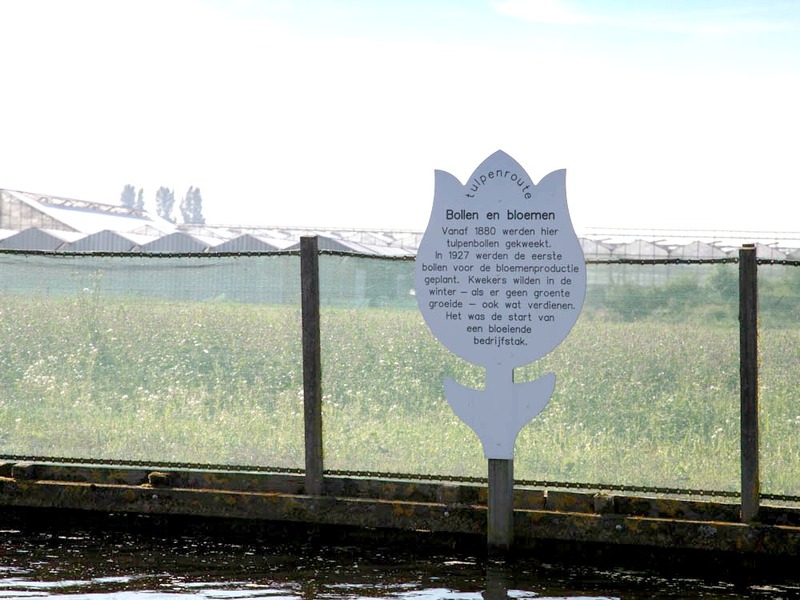 On this Tulip route you can find out all about the history of tulip production, while enjoying a unique boat trip through a Dutch "polder". Did you see the Keukenhof already and do you want more? Or did you miss it because the Keukenhof is only open in spring? Then this Tulip route is just perfect for you. 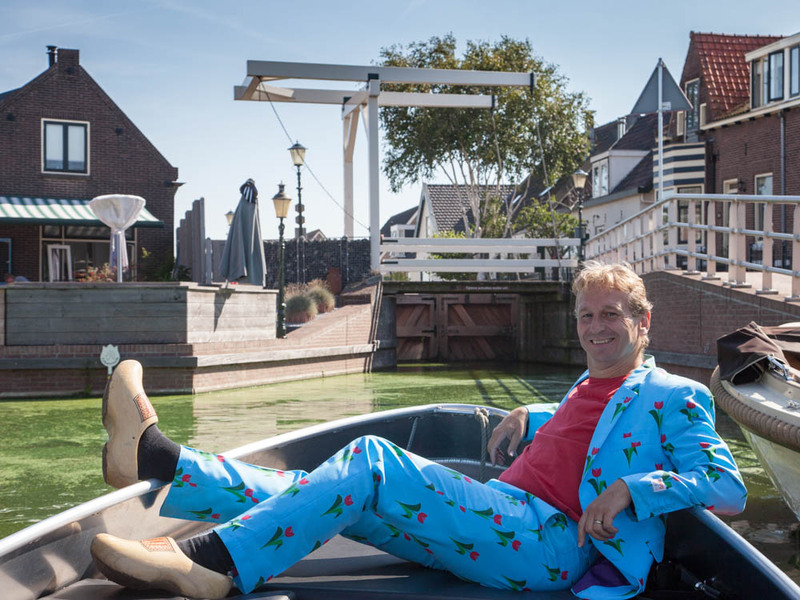 The Tulip route will take you on board of a small, silent vessel (in Dutch a "fluisterboot", which means whisper boat). 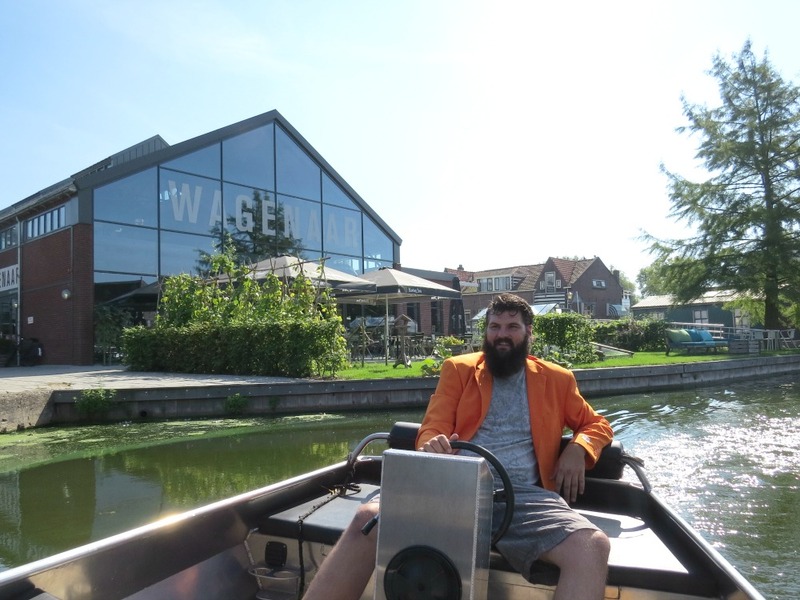 It will lead you through an authentic Dutch polder, on small canals between greenhouses and flowerfields. You will even operate a lock (sluice) to get on the higher waters of a lake. In the meantime, you will learn everything about the history of growing tulips. Below is a small excerpt of that. Tulips originate from Kazakhstan, and grow in the wild in Central Asia, and some species also in the Mediteranean area. They came to Holland from Turkey in the 16th century. And in the Dutch Golden Age of the 17th century, they became extremely popular. The Tulip mania in these days led to the very first stock market crash. It was only in the 20th century, though, that Holland started to export tulips. The demand in tulips (and other flowers) started to grow, as the Dutch apeeared to be good at cultivating flowers, creating better species. More about that can be read on our page about Dutch Flowers. The tiny village of Roelofarendsveen became very good at cultivating flowers. Especially tulips: around 25% of Dutch tulips are produced here. But before the 20th century, Dutch people didn't care about cultivating flowers at all. From the late middle ages, people used the land to grow vegetables. 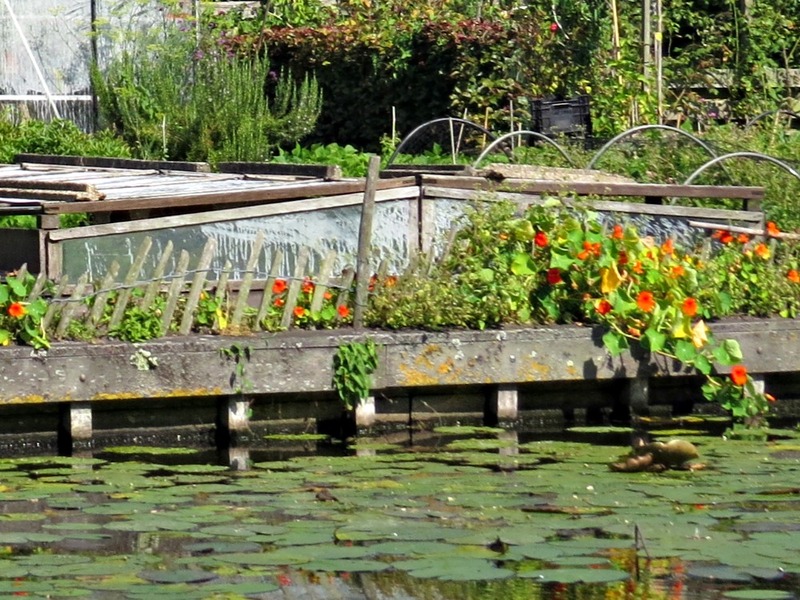 In Roelofarendsveen and other Dutch villages, farmers grew vegetables on small pieces of land. First only for themselves, but from the year 1830 onwards, also for the trade. In these days, most of the transport of the products was over water. And although the main waterways are now changed to roads, the small pieces of land are still separated by small canals, which we will navigate on our Tulip route. The pieces of land were created centuries ago by digging peat, which was the main fuel in these days. This could be done, by pumping the land dry first, with windmills. The socalled "Polders" created this way, lie lower than the lakes closeby. 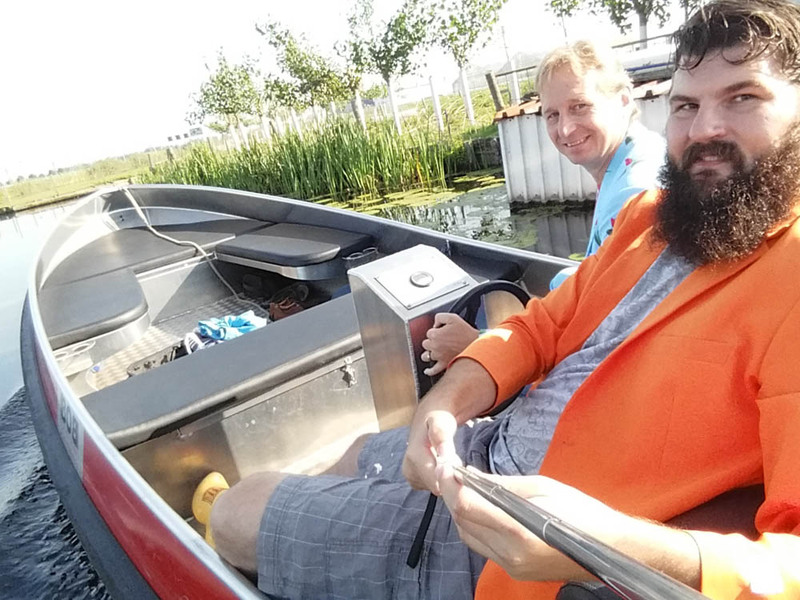 To navigate by boat from the polder to the lake, a lock (sluice) has to be passed. On our Tulip route, we will pass this lock. And you can help operate it as well, as this needs to be done manually! Over the years, the farmers in the village kept improving their techniques to cultivate vegetables. An important improvement was the introduction of greenhouses. First only pieces of glass close to the ground. Later, complete large greenhouses which are lit at night to maximise profits. As the times became better, the need for more vegetables became less. And the farmers found out that more money could be earned by growing flowers. Nowadays, a lot of different kinds of flowers are cultivateted in Roelofarendsveen. 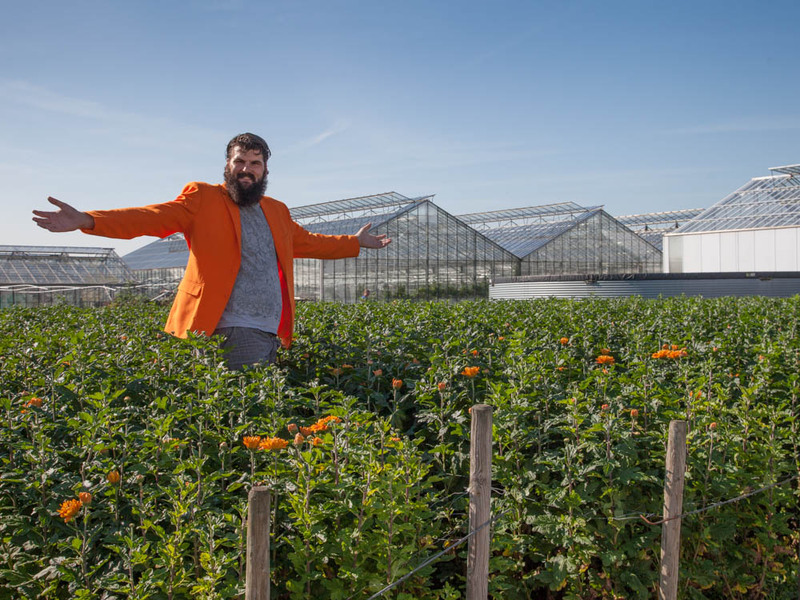 You will see different kinds of flower fields and greenhouses in the polder. The produce from the fields, first vegetables and later flowers, needed to be sold to the market. For this, the farmers united themselves to create an auction house. For many years, the auction house was the center of the village, the most important place. The good were brought here over the canals. And the traders left over the water as well, passing the locks to the lake. When the old auction house became too small, a new one was created at the edge of the village, close to the main roads. Today, that auction house is gone too, replaced by the large international auction house of Aalsmeer. At the location of the old auction house, there is a nice restaurant today. In it, an old auction clock is on display, and many reminders of the old days. It's an important stop on our Tulip route. As you can see above, we will pass lots of interesting places with lots of history to tell. And it's a nice relaxing trip as well. We can't stop at each and every interesting spot, as it would take multiple days. So we will make a selection. But if you have specific wishes, we can certainly squeeze them in. So do you want to see a windmill? Or talk to a flower farmer? Just let us know and we'll adjust the route. Are you interested in doing the Tulip route with us? Just fill out the form below. You can do the trip in the morning or the afternoon, or take it slow (and longer) by taking the full day. The costs depend on the number of people, and the specifics you require. If you want to be picked up in Amsterdam or elsewhere, you can also let us know.